Greetings, and welcome to RingCentral Fourth Quarter 2018 Earnings Conference Call. At this time, all participants are in a listen-only mode. A question-and-answer session will follow the formal presentation. (Operator Instructions) As a reminder, this conference is being recorded. I would now like to turn the conference over to your host, Ryan Goodman. Please proceed. Thank you. Good afternoon, and welcome to RingCentral's fourth quarter 2018 earnings conference call. I'm Ryan Goodman, RingCentral's Director of Investor Relations. Joining me today are; Vlad Shmunis, Founder, Chairman and CEO; David Sipes, Chief Operating Officer; and Mitesh Dhruv, Chief Financial Officer. Our format today will include prepared remarks by Vlad, David and Mitesh, followed by Q&A. Some of our discussions and responses to your questions will contain forward-looking statements. These statements are subject to risks and uncertainties. Actual results may differ materially from our forward-looking statements. A discussion of the risks and uncertainties related to our business is contained in our filings with the Securities and Exchange Commission and is incorporated by reference into today's discussion. RingCentral assumes no obligation and does not intend to update or comment on forward-looking statements made on this call. I encourage you to visit our Investor Relations website at ir.ringcentral.com to access our earnings release, slide deck, our non-GAAP to GAAP reconciliations, our periodic SEC reports, a webcast replay of today's call and to learn more about RingCentral. For certain forward-looking guidance, a reconciliation of the non-GAAP financial guidance to the corresponding GAAP measure is not available as discussed in detail in the slide deck posted on our Investor Relations website. We adopted ASC 606 as of January 1st, 2018 under the full retrospective method, we have provided comparative numbers for the respective periods of 2017 in this slide deck and press release. Unless otherwise indicated all measures that follow are non-GAAP with year-over-year comparisons. A reconciliation of all GAAP to non-GAAP results is provided with our earnings release and in the slide deck. With that, let me turn the call over to, Vlad. Good afternoon, and thank you for joining our fourth quarter earnings conference call. Fourth quarter was an outstanding finish to a great year for RingCentral. We saw no slowdown in momentum and we believe, we further distanced ourselves from our competition. Revenue, operating margin and non-GAAP EPS, all exceeded the high-end of our guidance. The performance in the quarter was driven by strong execution in the mid-market and enterprise business combined with continued momentum with our channel partners. We closed a record number of seven-digit TCV deals in Q4, bringing the year's total to approximately 80 such deals. I'm also excited to announce that we secured our first ever eight-figure TCV deal in Q4. We are seeing enterprises of all sizes moving to the cloud. Let me cover some of the key metrics for Q4. First, total revenue grew to $189 million; this is 34% increase year-over-year and above the high-end of our guidance range. Second, our core subscription revenue normalized for the legacy AT&T base, grew 38% year-over-year, up from 36% in the same quarter last year. Third, mid-market and enterprise business continued to be a key driver of our outperformance. We define mid-market and enterprise as 50 seats or greater; this grew 73% year-over-year and is now a $309 million annualized business. Our enterprise business defined as customers with $100,000 or more in annual recurring revenue or ARR nearly doubled year-over-year to $171 million. Fourth, our channel business grew over 80% year-over-year to over $180 million with channel contributing a record number of seven-digit TCV deals for the quarter. We're seeing the dollar (ph) a shift in toward cloud communication solutions from legacy vendors in this $50 billion market. This is consistent with the recent report published by Gartner titled Cloud-Based Unified Communications and Contact Center Momentum Is Refocusing Our Magic Quadrant Research for 2019. It state that by 2022, four cloud-based UCaaS seat licenses will be sold for every premises-based UC license, driven by an expanding list of capabilities in UCaaS solutions. Both these communications have become more mobile, distributed and global. Cloud now surpasses legacy solutions across a broad range of parameters. It is clear that the cloud is winning, and RingCentral is winning in the cloud. As we look to service the broadening demands of the mid-market and enterprise customers, we continue to drive product innovation and portfolio expansion. At our user conference in November we made three key announcements; one, we launched our new unified mobile app with integrated key messaging, voice and video seamlessly combined into a single application. This is well differentiated in the industry. Two, we launched RingCentral Engage, our digital customer engagement platform based on our acquisition of Dimelo; and three, we announced new artificial intelligence partnerships, leveraging our open platform to enable real time and post-call voice analytics. To build that momentum, last month, we announced the acquisition of Connect First, adding an important product to our customer engagement portfolio. It now includes RingCentral Contact Center for inbound communications and workforce optimization. RingCentral Engage for digital customer engagement and Connect First for outbound blended customer interactions. We believe our strong customer engagement portfolio provides customers with transformative and differentiated experiences and will accelerate customer transition to the cloud. 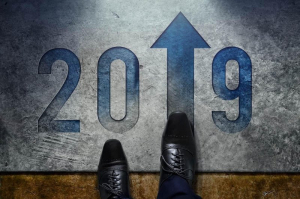 As we look ahead to 2019, our commitment to customer success is steadfast. We will continue to rapidly innovate and out-innovate our competition. Our industry-leading cloud communications and collaboration solutions combined with our world-class customer support create a widening gap and the deepening moat between us and our competitors. We believe that we're well positioned to achieve our goal of exceeding $1 billion in revenue in 2020. Now for some color, I will turn the call over to our Chief Operating Officer, Dave Sipes. Thank you, Vlad. It was a great quarter and we are pleased with the continued strength in our mid-market enterprise business. We attribute the strength to our efforts in expanding go-to-market capabilities, our rapid pace of product innovation and our success with land and expand. On the GTM front, we're focused on three key areas driving our success. One, expanding direct sales reach; two, growing the channel and; three, pushing ahead with our targeted verticals industry program. First, throughout 2018 we further identified our direct enterprise salesforce across major US, UK and Canada metro markets, as well as expanding in France and Australia. An example of continued international momentum in the UK was our Q3 win with the Financial Times, which we have now followed in Q4 with a seven-figure plus TCV win with a second major news and media organization. This new customer had a past experience with disruptive events shutting down their legacy on-premise system. Our highly fault-tolerant distributed and mobile-first cloud architecture was critical in addressing the unique business continuity needs. Furthermore, our global office and open platform integrations with Google G Suite and other cloud applications were also key in securing this win. Second, we increased our coverage in the channel with strong growth and new partners. Channel contributed more than 70% of our seven-figure wins in Q4. In addition, we announced reengagement with AT&T in late 2018. We've initiated enablement and training other salesforce. We are encouraged with our progress to-date and look forward to growing this partnership in 2019. Third, we increased our GTM focus on vertical industries initially targeted at financial, healthcare and SLED. In fact, in Q4, we had several seven-figure wins in each of these verticals comprising more than 30% of our seven-figure TCV deals. An example of a win in SLED is our recent announcement of our largest (inaudible) Columbia University. Columbia, selected our cloud solutions to support 44,000 faculty, staff and students. We will deploy 14,000 seats of RingCentral office for the faculty and staff and we'll rollout team messaging to 30,000 students. We're thrilled to be chosen by Columbia University as they modernize their communications infrastructure across the entire institution. In terms of product innovation, key focus areas include high availability, mobility and collaboration, a differentiated open platform, global office and integrated contact center. Our high availability platform and unified app with integrated collaboration capabilities were critical in securing a win with the Golden State Warriors. RingCentral will power all the Warriors business communications, including the new Chase Center arena. RingCentral beat out a well-known legacy provider in the process. This is a clear example of the cloud winning and RingCentral winning in the cloud. We continue to expand our open platform and global office capabilities. The number of registered developers on our platform is now close to 20,000 and we have approximately 2,000 certified app integrations. Last quarter, we added several countries to global office, bringing total count of global office countries to over 40. A good example of an enterprise leveraging our platform and global office capabilities was our 3,000 seat win with Copart a provider of online vehicle auctions. They will use our open APIs to create custom workflows that will allow them to improve efficiency in their yards. Our global office capabilities were paramount as they need to deploy across locations in EMEA, Asia-Pacific and Latin America. This customer was brought to us by one of our new enterprise focused national channel partners. We also continued our strong momentum with Contact Center securing a 1,000 seat win with a large cloud software applications provider. Our strong omni-channel capabilities, integrations with multiple cloud enterprise applications and end-to-end QoS Analytics were all key to winning. Last but not least, our land and expand strategy is working. A good example is Heartland Dental, one of the nation's largest dental support organizations. After winning their business in late 2017, we had 4,000 seats deployed. In Q4, the customer expanded their deployment plan to 6,000 seats. I also want to give a brief update on RingCentral Engage, a product-based on our Dimelo acquisition that we are now beginning to integrate with our core platform. We are happy to see Dimelo expanding their relationship with SFR, a large telco in France. SFR was able to consolidate multiple digital channels into one integrated customer engagement platform with Dimelo. Dimelo also expanded its relationship with La Redoute, a large 180-year-old French apparel and hard goods retailer, helping them through their digital transformation. La Redoute began working with Dimelo in early 2018 and is now supporting seven-digital channels, including Apple Business Chat. In summary, Q4 was a great quarter with continued strength in our GTM and product portfolio capabilities, including our first eight-figure TCV customer deal and 1,000 seat Contact Center win. With this momentum, we look forward to extending our market leadership in 2019. Now for the financials, I will turn the call over to our Chief Financial Officer, Mitesh Dhruv. Thanks, Dave, and good afternoon everyone. 2018 was another good year. We exited with a revenue run rate of over $750 million; our growth rate was 34% and our operating margin was approximately 9%. We are executing above the rule of 40, a combination of revenue growth and operating margin. We believe that the rule of 40 is a key metric to evaluate profitable growth across SaaS companies and is a high bar we will strive to sustain. Our fourth quarter capped the year with strong performance on all key financial metrics. Total ARR grew to $726 million, up 33% year-over-year and ARR for RingCentral Office grew to $644 million, up 38% year-over-year. Key drivers continued to be mid-market and enterprise with strong contribution from channel partners. Mid-market and enterprise had another standout quarter with ARR, up 73% year-over-year to $309 million. Enterprise ARR nearly doubled again to $171 million. We also secured a record number of seven-digit TCV deals, including one eight-figure deal. In fact, the average deal size of our million dollar deals increased more than 40% year-over-year. This was a combination of both higher ARR and longer contracts. In other words, with our highest value customers, we are seeing growth in the number of wins, the wins are getting larger and the contract durations are expanding. This expansion in mid-market and enterprise has multiple positive impact to our overall business. First, higher upsell, we yet again saw strong performance in new bookings from our existing customers; this represented over 40% of new business mix in the quarter. Second, reduction in churn. In 2018, annualized office gross churn for the first time dipped below 10%; this was driven by a mix shift toward larger customers as mid-market and enterprise churn is half of the small business churn. In terms of mid-market and enterprise metrics in 2018, we introduced the enterprise metric defined as customers with greater than 100,000 ARR. We are considering a similar dollar-based metric for mid-market. Dollar-based metrics provide more transparency to investors, as they better reflect our expanding product portfolio. Moving, onto the channels. In line with our philosophy of profitable growth, we are laser focused on both the growth economics and the growth itself. To that end, we are happy to see strong growth in our channel business. As it relates to channel economics, we see favorable dynamics versus direct. Channels' lower cost to book and lower churn more than offset longer term residual costs. Faster time to breakeven is an extra benefit. Simply put, even after cost to book in residuals, channel delivers higher cumulative contribution profit. Now, I'll briefly go through the Q4 financials and then onto the 2019 outlook. Total revenue grew 34% to $189 million. Subscription revenue grew 32% and core subscription revenue, which normalizes for the legacy AT&T base grew 38%. A bit of housekeeping on the AT&T metric. As we discussed last quarter due to the terms in our revised AT&T agreement going forward, we will only be able to provide overall subscription revenue. We will continue to provide color on AT&T as appropriate. Subscription gross margin was 83.3%, up over a point year-over-year as we continue to achieve benefits of scale. Non-GAAP operating margin of 9.2% was also up over a point year-over-year and well ahead of our guidance, driven primarily by the revenue upside. Now, let's turn to our outlook. For 2019, we expect total revenue to be between $847 million and $859 million, for an annual growth of 26% to 28%. We expect non-GAAP EPS of $0.69 to $0.73. In summary, we finished 2018 with strong momentum across go-to-market execution, product innovation and financial metrics. Looking ahead, we are well positioned to continue taking market share from legacy on-premise vendors, as well as further extending our lead over cloud competitors. We expect channel and enterprise tailwinds to continue bolstered by an expanding international footprint and our targeted vertical go-to-market programs. Longer term, we see incremental opportunities with our reestablished AT&T relationship and our expanded customer engagement product portfolio. With that as a backdrop, we are confident, we will achieve our goal of exceeding both the Rule of 40 and $1 billion in revenue in 2020. Now, let me turn the call to the operator for Q&A. At this time, we'll be conducting a question-and-answer session. (Operator Instructions) Our first question comes from the line of Nikolay Beliov with Bank of America Merrill Lynch. Please, proceed with your question. Hi. Thanks for taking my questions and congratulations on solid results. I had a question for Mitesh first, and a follow-up for Vlad and Dave. Mitesh, when you look at the eight-figure deal and new logos in general and when you think about upsell, how does it flow into ARR? Sure, Nikolay. So a three-part question. The first one is on new logos then what happened in land and expand or upsell and then how does it show up in ARR. So let's start with the first one, which is new logos. If you look at the eight-digit or the seven-digit TCV wins we announced about 8% of those deals were new logos, which is very consistent with last quarter, which was a high watermark, so very solid performance in the new logos. When it comes to upsell or land and expand. You know, when we have -- when we deploy an industrial customer, the initial deployment is usually a small subset of the overall potential. So that gives us a chance to go to the well multiple times. Dave, in his prepared remarks gave an example of our Heartland Dental, where we now have a commitment of 6,000 seats, up from 4,000 seats, but the best news is that the total potential for this customer is over 10,000 seats. So this is just one example of how several thousand -- hundreds of customers are upselling. So, that's new logos and upsell. And the way it shows up at ARR, Nikolay is that, when we land a large deal, we only include in ARR, the number of lines or users that are provisioned. So for example, for Columbia in our Q4 ARR, only less than 5% of the deal value shows up. And so most of the committed opportunity is going to be showing up ARR in the future. Got it. And Vlad, quick question for you. When you look at the evolution of RingCentral, you started with small business, you moved to medium enterprise, large enterprise, and you'll be highlighting Global 2000 -- G2K deals. If you can give us a sense of how many G2K customers you have at this point? How longer the sales cycles will be win again? Any color here would be helpful. Thank you. That's it for me. Yeah, this is Dave Sipes. As we move into the larger or mega large enterprise, we see, I think the question was like sales cycles and how are we executing? Obviously, this was a record number of million dollar deals in the quarter, we did 80 or so for the year. And sales cycles in that range average in the 9 to 12 months timeframe, and we're seeing good progression of our pipeline in that area. Our next question comes from the line of George Sutton with Craig-Hallum. Please proceed with your question. Thank you, guys. Great results. Mitesh, I'm wondering on the enterprise side, I want to ask last question little differently. You gave some compelling metrics to begin relative to enterprise. I wonder how can you or how do you plan to hit that accelerator on enterprise opportunities going forward, it would seem we're on just the early stages of this big move to the class of the larger companies. Help me understand, sort of, the trajectory there? Yeah. Sure, George. So it is just to recap, mid-market and enterprise -- the enterprise showed really strong strength, it's $170 million business grew close to 100%. And it's actually quarter of our Office ARR. But if you look at the forward-looking indicator, it's more than or close to 40% of the bookings of Office is enterprise, so that's part one. Part two is, we did see a broad-based strength there. And in the entire enterprise segment and as Dave said, we did sign close to 80 deals over $1 million for the entire year and if you double click on this momentum you see overall the deal value actually went up 40%. Both because the customers are larger and the duration is getting extended, so that's sort of the backdrop for 2019. When you look at the drivers for 2019, there are really three key drivers, how we plan to step on the gas here. One is the sales force right, we will keep on densifying our enterprise sales force in the key regions, that's point number one. Point number two, is channel; if you look at Gartner, they had a stat that by 2022 for every one seat deployed for on-premise there will be four seats deployed for the cloud. So this now impacts the channel in a way that they are now going to be more behooved to work with players like RingCentral in the cloud. And the third one is our -- expanding portfolio. With the RingCentral Engage it's now -- right now, predominantly a play in just France and somewhat of EMEA with large brands, we now hope to cross-sell this in the future to large enterprises in the US, given the changing consumer behavior. So I think with the -- if you look at the overall tailwinds with larger enterprises going to the cloud and plus our doubling down efforts with the GTM and product portfolio, I think that's the way we think about 2019. Perfect just a quick follow-up on the contract duration extending that's -- I think an impressive indication that there is more of a commitment on the part of the buyers. Could you give us some way to quantify that duration expansion maybe a little bit more meaning behind it? Yeah, it's been hovering around, call it, plus or minus 2-ish years on an average, and we saw a slight uptick, not very meaningful, but it did go in the right direction with a slight uptick. Our next question comes from the line of Matt Spitler (ph) with William Blair. Please proceed with your question. Hey guys, it's Bhavan here obviously. Congratulations on a nice job there. I guess maybe starting off again with you Mitesh and then I'll follow with Dave and Vlad. But just, you had obviously the biggest beat you've ever had in revenue certainly on the top line. And certainly guidance was ahead of expectations at least to Street's consensus. I guess as you think about your philosophy and the team's philosophy of balancing growth with margin you've touched little bit of 40. You're certainly growing and potentially could grow just as fast in '19 as historically. And so how you sort of balancing that between the growth rate and sort of the investment in sales and marketing sort of drive some level of profitability to. So I just want to understand, if has there been any change of philosophy and how you guys think about '19 and maybe in the no longer about those two metrics? Sure, Bhavan. So let's talk about growth versus margin, our favorite topic in the SaaS business. So, yes, so thank you for acknowledging, we did have a, yeah, we did have a strong quarter across the board, most of the chips did fall our way for two reasons; one, is the market itself definitely coming to the cloud. And second is we, RingCentral did end up taking share from other cloud providers. So I think it was a double whammy there for us in a good way. And if you look at how we beat, so we beat the Street estimates by call it plus or minus $8 million bucks. And about 40% of that beat flowed through to the bottom line. Now, think of that 40% as being our inherent leverage in the model, where you can look at this as the incremental revenue margins as a proxy for the installed based recurring margin. When you look at a SaaS model, there are two drivers, which drive this inherent leverage in the business model; first, is churn and second, is upsell. So if you look at churn our customers are definitely staying longer and you saw our gross churn perk down less than 10% for the first time, that's one. And second in upsell we are seeing customers buy more from our platform and we did report that about 40% of our new bookings came from existing customers. So with these growth and growth economics more so I think the bias Bhavan is going to be toward dialing for growth, no change from the past. But that said, you know, it will show some margin expansion as we've been showing and we are going to be committed to be, hitting the rule of 40. Got it, got it, it's helpful. You touched on competition, Mitesh sojourn sort of to the other guys on the call. You have been taking share from other card providers, but you know ShoreTel kind of disappeared, they have been such, you said before that's sort of, you've seen more of an inflection and people, the ShoreTel comes up for renewal moving over to you. I guess just any sense of the competitive environment, sort of, is the takeaway at the enterprise level, which feels like it, but you sort of seeing the mid market also being a fairly competitive takeaway and is it still largely from on-premise players like a ShoreTel, Mitel, third one or is it more from sort of your -- sort of your primary card competitor, who you keep leaving further, further product behind. Just some color on the dynamics in both the mid-market and enterprise around competitive environment? Thank you. Yeah, this is Dave Sipes. The vast with majority of the market is obviously on-premise solutions that people are moving away from and looking to buy cloud solutions and we see that point accelerating, we see Gartner talking about that accelerating over the next few years. We see the largest replacements that we're doing are typically the Cisco, the Avaya, the Mitel, are the biggest ones in the market, and the most common that we will replace. We also will compete in our largest deals or million dollar deals, well typically be one of those key legacy providers that we're replacing. That dynamic has stayed true and our win rates against those legacy solutions have sustained like very strong actually saw an uptick against those players this quarter. So we see a greater momentum from the buyer and a stronger emphasis on cloud and cloud functionality that's helping us migrate that segment of the market over. It's awesome. Thank you, guys, congrats. Our next question comes from the line of Terry Tillman with SunTrust. Please proceed with your question. Hey, good afternoon gentlemen. And I'll also say, congrats on the numbers and the outlook. Looking forward to one day seeing maybe a nine-figure TCV deal, but anyways, specifically, my first question relates to -- and sorry for this bad cold I have and how I sound. Related to recent acquisitions Dimelo and Connect First, maybe Mitesh could you talk about, I think initially they were going to be immaterial to the model, but maybe as we look at the 2019 guidance, what kind of revenue contribution can you talk about from those two acquisitions, specifically? Compared to mine for sure. And the nine-figure deal in due time, so but to answer your question, look both of these acquisitions Dimelo and then Connect First, were really technology tuck-ins and it was mainly to broaden or expand our product portfolio to crack open new addressable markets. So, and the focus for 2019 for both these acquisitions is going to be on integrating both these products onto the RingCentrtal platform. So if you look at what contribution we have dialed in, it's very insignificant, especially after you consider the deferred revenue writedown. So, but the hope long-term, Terry is that with our investments on integrating these products this year, long-term we hope to achieve more cross-sell synergies there to take both these products to our install base longer term. Okay, and I don't know if this is for Vlad or for Dave or for your Mitesh. But my follow-up just relates to what the user conference last year talking about the unified mobile app bringing it all together. What I'm curious about is, you know, for some of your installed base, is there any kind of GTM efforts to really push them to move to the new app and if so, could that be an incremental driver of cross selling or upselling, as we move into '19? Thank you. Yeah, this is Dave Sipes. So I think the question is that, with the new unified mobile app, we're pushing the installed base that's something that we're focused on over the next couple quarters. We see a lot of advantages in the unified mobile app, a more unified experience ability to utilize plus team messaging, video and telephony in one go and having a seamless experience across that. I think it's a huge advantage for the customers. We see very good adoption from our customers that have already moved over to that, and we do see that as becoming the permanent application of the future for RingCentral. It does create greater exposure to other products and services and allows greater adoption across the suite. Our next question comes from the line of Meta Marshall with Morgan Stanley. Please proceed with your question. Great, thanks. Congrats guys. First a question on the Columbia deal. Can you just give a detail on how the students will use it, like is it tied to kind of class threads or will it be used for talk between students? Just a little bit of detail there would be helpful, maybe to start. Yes. So we're rolling up team messaging in collaboration across the student body that's something focused on -- it will start with different departments, different departments within the student body and a key aspect is the Learning Management System Integration that was core to the decision to move to RingCentral and was key that our platform supports these capabilities. So that's been important aspect of that so. Okay, got it. And then maybe just on kind of direction of R&D, last year you guys talked a lot about it being used to expand international presence with kind of 30 countries outfitted, is direction more contact center? And integrating some of the development Contact First integration? Just if you could kind of give a direction of where that spend is going? Yes. So on the product innovation side, a key aspect is, as we made these acquisitions with RingCentral Engage, is built upon the Dimelo product suite and Connect First is creating integrations and a unified platform between those products, as well as moving everybody over to the unified app, our global capabilities continue to grow as we're approximately 40 countries now on Global Office, and we look to continue expand there as well as a big emphasis on our open platform development, which we've had doubling of growth every year for several years with over 1,800 certified apps. Our next question comes from the line of Brian Peterson with Raymond James. Please proceed with your question. Hi, guys, thanks for taking the question and congrats on the quarter. So Mitesh, just wanted to expand on your channel comments a bit? Could you talk about how we should think about the growth and the margin implications of the channel expansion in 2019? Sure, Brian. So yes, let's talk about the channel performance in 2018 and then we'll talk about the -- how we see '19 shaping up in terms of penetration and then what it means for margin and profit for the business model. So look generally it has been a crown Jewel, it's been a stellar performing vector for us, $180 million business, growing 80%, quarter of our business. So it's been amazing in that sense. And if you look at 2019 -- '18, we are still, if you talk to channel partners, it's still in the very, very early stages. So both internationally and in the US. So the playbook is going to be similar where we are going to be adding some key channel partners in 2019 and then that's A; and part B is also densifying our coverage within the channel partners we have. So sort of a two-pronged approach there, which has been serving as well. Now as relates to profit and economics, as you know, Brian, for us, it's always profitable growth and not really grow at all costs. And we really look to that mantra there. So if you run the channel through the model -- channel economics through the model, the cumulative profit dollars for channel are accretive to the business and a higher than direct for three reasons; one, is that the payback is faster, there is no other incremental material sales and marketing dollars you have to spend, and the overall churn is lower in the channel. So these three vectors actually offset -- more than offset the upfront costs we have to pay and the residual payments we have to pay for the channel. So, and then again cherry on top, if the channel does free up extra investment dollars for us to invest those dollars in the direct sales and marketing, which then accelerate the growth. So I think net-net, I think, channel is here to stay and it's accretive to the business. Got it. Thanks, Mitesh. And just one more, just on the vertical opportunities you mentioned, is there anything that you can share in terms of who you're displacing, deal sizes, ARPU or any unique value proposition that you're adding for the three verticals you mentioned? Thanks, guys. On the verticals, we continue to win several deals in each of our core verticals, sort of, from financial services, healthcare and state and local education. We announced Columbia, but it wasn't our only higher education win, there were a couple other million dollar TCV higher education in there, and that's a vertical we've had success with. Previously, additionally, we've signed additional cooperative buying agreements with Nasper on tips that will help us add additional state municipalities in the future. And on the healthcare, we've had many successes, we continue to have success such as Heartland Dental and expansion there, and continue to see success in medical clinical areas within healthcare. Our next question comes from the line of Samad Samana with Jefferies. Please proceed with your question. Hi, good evening, thanks for taking my questions. Mitesh, one for you, this looks like the strongest quarter-over-quarter change in net new ARR for a fourth quarter in the last few years. I was wondering, if there is any change in seasonality for new large deals or if there is a more and more seasonality favoring fourth quarter in terms of renewals just something to help us as we think about our models for ARR going forward? Then I have a follow-up question. Yes, if you look at the sequential trends Samad, sequentially for Office call it between 8% to 9%. If you look at Q1 of this year, it was little over 9%, this quarter it was little under 9%. So it's not that unusual, but that said, fourth quarter is sequentially pretty strong for us, and though that's driving some of the strength there. So it was pretty broad based. Great. And then Dave, I wanted to follow-up on the government contract vehicles. I know (inaudible) there's a couple press releases last week highlighting it. Could you remind us, maybe what type of penetration the government property or what percentage represents an ARR, and then just remind us if you guys are federal and certified already and how you see breaking into the federal opportunity maybe going forward or how should we should think about that opportunity ramping for RingCentral and maybe 2019 and going forward? Yes, these are still early opportunities for us on the state and local. We've obviously had a lot of success in education, both higher ed even in K through 12. We see this as an opportunity to expand on that to get into state and local additionally at a significant pace. We've increased our staffing in that area, focused on state and local within our sales team and dedicated personnel in that area. So it's an opportunity there. As far as federal government, FedRAMP is something we're working on, at this point, we don't have a timeline yet though, we're projecting, but that will be additional opportunity, I'd say that would follow as we see this success in educating state and local and then move to federal after that. Great, thanks again for taking my questions and very nice quarter guys. Our next question comes from the line of Michael Turrin with Deutsche Bank. Please proceed with your question. Hi, guys. Thanks, good afternoon. Wanted to talk a little bit about the Connect First acquisition. Could you spend a bit more time perhaps walking us through how this complements the Engage platform you've built on Dimelo and what you're now able to bring into the contact center market as well as how you're thinking about that opportunity set today? Yes, we have -- we think are bringing best-in-class world-class solutions to customers with the traditional RingCentral contact center, inbound capability and Engage brought the ability for digital customer engagement that is allowing the way in the new workforce and new consumers or communicating with businesses. And Connect First is a world-class outbound capability -- outbound-blended capability that starts penetrating a little more into sales and marketing lines of business outside of, say, customer support lines of business. So it adds to the breadth of the solutions, as well as it gets affected to some additional buying organizations within the companies that we've already sold to or prospecting with. Okay, thanks. And then maybe one for Mitesh. You've talked in the past around expectations for call it 75 basis points to 100 basis points in margin expansion per year. You gave us more than that this year and the initial guide for 2019 maybe implies a touch less than that for next year. Is that just a result of the slight toward growth given you've been accelerating the top line or is there anything else you'd like us to take away there? Thanks. No. Nothing, nothing material for you to takeaway there, Michael, you know, if you look at the starting of the guide from last year, you probably would seemed to be similar. There is nothing too much to read there. I think the overarching theme, I think what we need to keep in mind, at least the way we're driving the business is toward the rule of 40, and I think growth plus operating margin that's where we strive to achieve. So, 50 basis points, 75 basis points, it's just, you know, it's in a noise there. But I think we will show operating margin expansion despite these two -- despite taking on some of the investments we have to make for these two acquisitions. And so, I think that expansion is here to stay. But overall, I think it's a rule of 40 where we strive to achieve. Thanks for taking the questions. Congrats on the strong results you've done in the year, guys. Our next question comes from the line of Sterling Auty with JPMorgan. Please proceed with your question. Yeah. Thanks. Hi guys. Back on the idea of competition and market share shift, I'm wondering from this perspective, you're obviously winning in terms of the customer wins, but you're finding that you're further pushing out or displacing other vendors as the primary vendor in the channel. I remember the panel that you had at the Analyst Day, I think couple examples. I'm just wondering are you seeing that as a growing trend, especially the resellers that are able to bring you in some more of those up market opportunities? I think we've had a lot of success in the channel, we see it's continuing to grow over around 80% year-over-year. We've built a strong reputation in the channel by supporting the channel both in the selling activities and in the customer retention activities. And we've built a brand that we can deliver across some of these key new accounts, as well as upselling into existing accounts. An example, Copart which we mentioned on the call was sourced by a new partner that we just secured last quarter and this was the first deal they brought to us. So it's showing a willingness to partner with us on the largest deals and confidence that exists in the channel. So, we feel good about our position there and continue to work strongly with our partners in our go-to-market replacement of legacy solutions. Alright, great. And then one follow-up would be, now that we -- looking at the end of 2018 versus the end of 2017. Can you quantitatively or at least qualitatively describe where we are in terms of the size of the go-to-market sales and marketing force. So how much did that headcount grow and how much of that was geared specifically toward that mid-market and enterprise versus traditional segments? Sure, Sterling. So I'll give you some data points, which would help frame the -- frame what you're asking. If you look at where the investment dollars went in terms of GTM, they all mostly went toward the mid-market and enterprise salesforce, so that sort of point number one. And if you look at the clip of growth of these investments for quota-carrying headcount, we -- the growth was lower in our overall ARR growth, because we are seeing some improvements from these segments ramping and maturing overall. So more reps are ramped and are hitting quota. So that's the way to think about it, where we are growing our salesforce shy of our overall ARR growth given some of the efficiency we are seeing. Our next question comes from the line of Will Power with Robert W. Baird. Please proceed with your question. Great. Thanks. Yeah, just a couple of questions. So, let me maybe first start with Columbia coming back to that way in which it looked terrific. I'd love to get any kind of color you're able to provide on the RFP process, it sounds like you're displacing on-premise provider. Were there other cloud providers participating for that? It sounds like messaging was a key piece of the win, but I guess as you step back, what were the other key attributes that really helped you stand out among the bidders there? And then the final piece there is maybe I missed this, but is Contact Center part of that and is that maybe still an opportunity? Sure. Yeah so, Columbia, we've been in discussions with for a while for probably a couple of years; we've -- they've been a customer in their graduate school with Teachers College Columbia. But the main campus was running legacy solution as you mentioned, we competed against probably the market-leading legacy solution and won against that. So it was kind of an on-prem versus cloud decision, but they went through. And the scalability of our platform was critical, the integrations as I mentioned earlier about the LMS integration, but as well, integration with Google and ServiceNow were examples of helping win that. And there is a smaller component of Contact Center at this point, but that's additionally -- but the bulk of it is the UCaaS opportunity at this point in time. Okay. That's great. And then my second question, I just want to come back to international too, I mean, you referenced there were nice win in the UK, any other color you can provide on what the international growth look like in the quarter, percent of revenue, it feels like you're making nice headway across the board on that front? Yeah. We continue to have success and we've seen it in the million-dollar deals coming out of that market. And our team there has grown significantly, so we're having better recognition and better success. The percent of revenue is something that continues to grow, probably a little faster than overall. But we see both the UK, we've had success in Australia, and now we're expanding into France. So we see additional expansion opportunity international going forward. (Operator Instructions) Our next question comes from the line of Dmitry Netis with Stephens Inc. Please proceed with your question. Thanks. I guess, I'm just wondering about guidance for subscription revenue for Q1. So this is a recurring business and if I roll your annualized monthly subscription run rate, plus some of the net new business that you acquired, which was quite strong this quarter, right, plus the record low churn, I come up with $179 million, $180 million for Q1 versus your guide of $177.5 million -- $175.5 million to $177.5 million. So I'm wondering if I'm missing something and why this growth decels to 28% given your run rate growth rate in the last four quarters is 32%? Sure, Dmitry. Look we -- it's a good start to the year, but we don't know -- we don't -- we don't know, what we don't know. We are cautiously optimistic for the year and I think just one step at a time. Anything to read on AT&T or is it just -- it's not counting the AT&T business at all? We have not dialed in Dmitry, much revenue from AT&T because it's just a start to the relationship, and I think we just want to be cautiously optimistic there. Longer term, I think AT&T could be -- emerge as a good long-term macro for us or driver for us given that the previous relationship was a $50 million business for us. But we have not -- in '19, we have not dialed in much. Alright, fine. May I may ask one other question. In your commercial bundle with Zoom in Contact, what percentage of your bookings include kind of the suite of all three products, meaning UCaaS, video and in Contact. And when you do sell the entire bundle, what's the impact to the gross margins? And can you kind of tell us what the gross margin guidance will be, I know you're not guiding it, but can you give us a little calibration of what to look for on the gross margin line for '19? Sure, you're packing like seven questions in one. So that's, so congrats on that. So I'll try, so we don't -- so unlike some of the other cloud vendors, we don't sell in Contact or -- Contact Center along with our Office product, it's been bought separately. They are two separate bundles. So, but we do integrate at a deep level with these two products. And in terms of gross margins, it's no secret that the Contact Center margins, I'd call it, plus or minus 50-ish percent range gross margins. And so if you blend the two, our gross margins for Office with the Contact Center, I think, I did allude to in the previous calls that the gross margin should be around 82% plus or minus range, which is what you put in your previous. So thanks for being ahead of that. Our next question comes from the line of Brian Schwartz with Oppenheimer. Please proceed with your question. Yeah. Hi, thank you, very much and congrats on a really nice fiscal year. Most of my questions have been answered, today. But, I thought maybe I would just ask one granular question for David out there. Just given the strength that you're seeing here now in the big deals in the upsell momentum that you're having in the installed base, I'm just curious, if you're starting to face off with different buyer sets within the customer base. If there's new champions that are emerging for the company. The reason I ask is, we've talked about this before, but one of the opportunities here is to expand the platform into more of an enterprise scale business communications plus an engagement and collaboration platform. And I'm just kind of curious where you think you are on that journey based on the customers and the buyers that you're speaking to you today? Thanks. Yes, so on customers and buyers, we are typically within this -- often in the CIO organization, we do a little bit with procurement in some of these organizations. But as we've expanded the selling of Contact Center, the customer service line of business becomes important and as we look to sell Engage and Connect -- Engage marketing gets more involved and with Connect First, we see a little more on the sell side, so we are broadening across the different buyers in the organizations and as we talked about, we're working -- we work those purchase decisions across all those buyers and we've had a lot of success selling all of those even upfront in some of the deals is and then other deals will sell one product and then cross-sell overtime into the other products. Our next question comes from the line of Mike Latimore with Northland Capital Markets. Please proceed with your question. Great, two quick ones here. What percent of your bookings is coming from international and in terms of average revenue per seat, what's been the trend over the last year there? Sure, Mike. It's Mitesh, I'll take the second part first. No, no, quite no change to our pricing, it remains pretty stable. And then in terms of the bookings for international, we don't specifically break it out. International still remains a small -- smaller piece of the overall pie sub 10%, but the overall bookings growth was faster than the overall growth of the business. So it remains an emerging vector of growth for us. Our next question comes from the line of Matt Van Vliet with Stifel. Please proceed with your question. Hi, thanks for taking my question. Just curious where you guys stand on some of the vertical selling groups in terms of overall sales productivity. Are they a little bit earlier on the curve since that's been a little bit more of a recent investment and then how just generally is the headcount additions been specifically in those groups relative to the overall sort of quota-carrying headcount? Yes. So we've been investing those verticals for a while. So that's not something that's new. But because of the success we're having and I mentioned each of those verticals, financial services, healthcare and state, local education had several million dollar wins in the quarter. That's driving us to increase the size of those teams but because we're seeing the productivity success from them. Our next question comes from the line of Zack Turcotte with Dougherty & Company. Please proceed with your question. Hey, thanks. Zack on for Catharine Trebnick. So with the recent acquisitions to kind of round out your Contact Center and customer engagement platform, do you feel like your product portfolio is kind of complete at this point. And from a product and technology perspective, what's your focus right now, at your user conference last year and other conferences as we've been to recently it seems like there is a large focus on AI and Analytics particularly in relation to Contact Center? Look, we're always looking for additional technology solutions that can help with the overall portfolio. We believe in bringing a world-class solutions to our customers in all areas. So I think there's still opportunities as we look across the communication suite, and we're continuing to look at opportunities. The -- probably the more important thing is as we bring these organizations in is to create that seamless user experience across the products, and so that's a big focus of our innovation is to do that both from a user experience, as well as from a platform HA capability, as we have a very high bar that customers expect from us. And as we bring in new innovative products, we also want them to meet that high bar of expectations. So those were key things that we'll be working on to further the strength of the product suite. Hey, operator are you there for the next question? I apologize for the delay. Our next question comes from the line of Jon Kees from Summit Insights Group. Please proceed with your question. Great. I am here. Thanks for squeezing me in. I'll keep mine in one question. As you expand -- as you expand internationally as you expand into adjacent markets, especially with your expanded portfolio into these adjacent, as well as new markets, can you talk about your -- the efforts that you have to make in branding and brand recognition, you know, especially in 2019 is that something you have to ramp up? Thanks. Hi, it's Dave Sipes. The -- we continue to invest in our branding capabilities both through traditional industry events, as well as enterprise field marketing capabilities, as well as some brand that you'll see in radio across nationally. And we're focused as we go into additional markets like the UK to make sure we go in with scale and make sure we build a strong reputation within those markets, both with the customers directly and also with the channel as we go-to-market. So those are things that we've continued to do. I would say, at the same kind of proportion that we've done it in the past. And so as we grow the overall business we'll continue to increase investments by proportionally in those areas. Great. I'll stop there. Keep up the good work. Thanks guys. Our final question comes from the line of Kash Rangan from Bank of America Merrill Lynch. Please proceed with your question. Hey, guys, thanks for taking the last question. Congratulations on a spectacular quarter. I find your answers to be very insightful and analytical. I was just wondering, if your C4 (ph) ever happened to be Wall Street analyst, it's parlays (ph). Of course, that's not the question, I know the answer to that question. But when you look at these mega deals that are happening for you guys it's certainly an inflection point, as you approach the billion-dollar plus level. Are you seeing more of these mega deals in your pipeline and how to think about the effect on your business either from an expense investment standpoint or from the standpoint of lowering attrition and keep maintaining a growth profile? That's it from me. Thank you. So, this is Dave Sipes. We've had this progression as we moved into -- mid-market had success in mid-market then into smaller enterprise and now as we move into larger, mega enterprise, we're continuing the same playbook to have dedicated selling capabilities in those markets, bring the right mix of post-sell capabilities to the customer through professional services and customer success managers and do that in concert with our channel partners. It's a playbook, we've been running in the other segments, we're running at in the large segment, we're happy to be demonstrating success and we see additional opportunities definitely in the pipeline of these coming down, but it's been a migration as we've done that and we've continued to manage the rest of the business in a disciplined manner, as we do advance into the upper ends of the market. We have reached the end of the question-and-answer session. And I will now turn the call back to management for closing remarks. Thank you, all for dialing in. We'll see you next quarter. Thank you. This concludes today's conference and you may disconnect your lines at this time. Thank you for your participation. David and Tom just revealed what they believe are the 10 best stocks for investors to buy right now... and RingCentral wasn't one of them! That's right -- they think these 10 stocks are even better buys. Motley Fool Transcribers has no position in any of the stocks mentioned. The Motley Fool has no position in any of the stocks mentioned. The Motley Fool has a disclosure policy. SABR vs. RNG: Which Stock Is the Better Value Option? Reminder: Friday April 19 - Markets Closed for Good Friday Holiday.